Big sounds come in a convenient compact size. 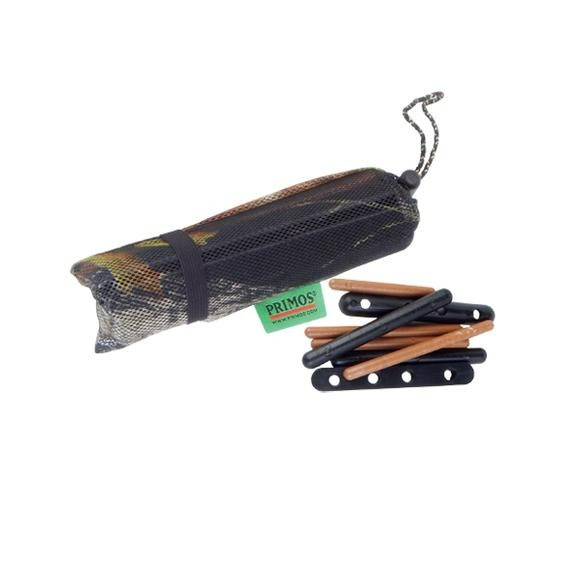 Primos Big Buck Bag Deer Call sound like small bucks sparring or reproduce a dominant buck fight. You can increase the volume of sound the bag makes by removing one or more of the Power Tines. The camo net bag is compact, flexible, and 100% waterproof.